The Bayside Toy Library committee meets monthly always welcomes new members. Ask about joining next time you visit us. We are always on the lookout for volunteers to help with a wide range of fundraising events that are run throughout the year. 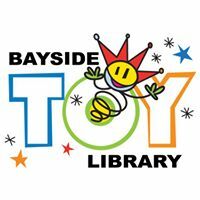 Bayside Toy Library will gratefully accept all monetary donations or donations of good quality toys that are suitable for lending. Unfortunately, we cannot accept any soft toys.